Who knew? 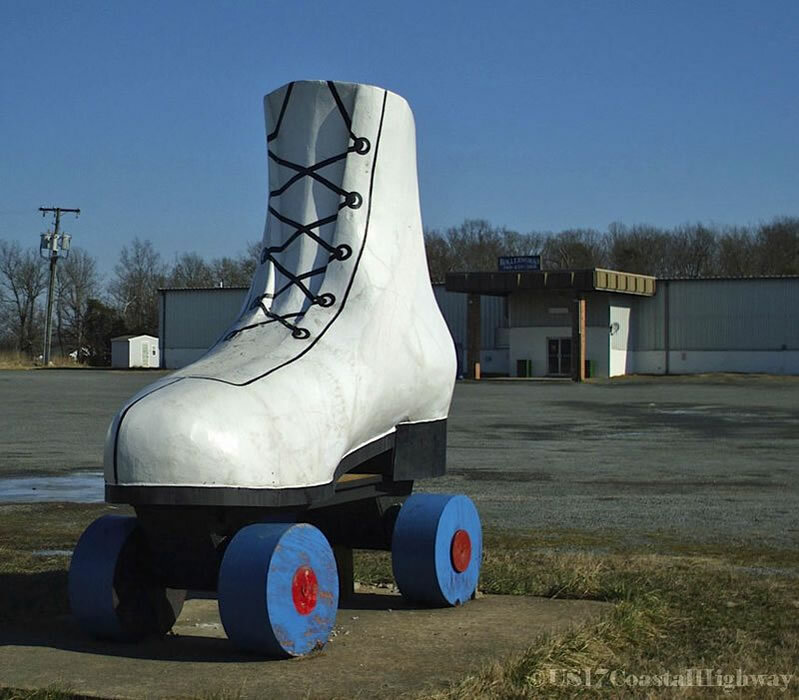 Yes, one of the wonders of the modern World (and a Roadside America attraction) – a giant roller skate made entirely of wood and plaster – graces the side of Highway 17 (referred to as Marsh Road along this stretch of Virginia highway) in Bealeton, Virginia. Bealeton is a census-designated place in Fauquier County, found at the intersection of State Route 28 and Highway 17. Bealeton is also home to one of the last barnstorming air shows in the US – but more about that later. Seems like the perfect place to stop for a break, perhaps skate for a bit – and could there be a better photo op? Thanks to Mary and Mark of Massachusetts for sending this image to US 17 to share!